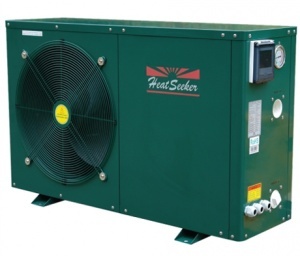 Heatseeker Horizontal Heat Pumps are the most cost effective and energy efficient method of heating your swimming pool. 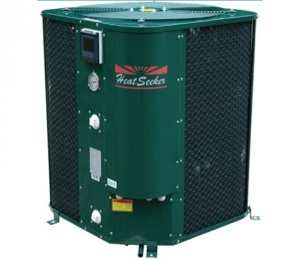 The HeatSeeker® consumes approximately less than one-fifth of the electricity of conventional pool water heaters. Heat Pumps work by absorbing heat from the outside air. The heat is then compressed and transferred to your pool water.